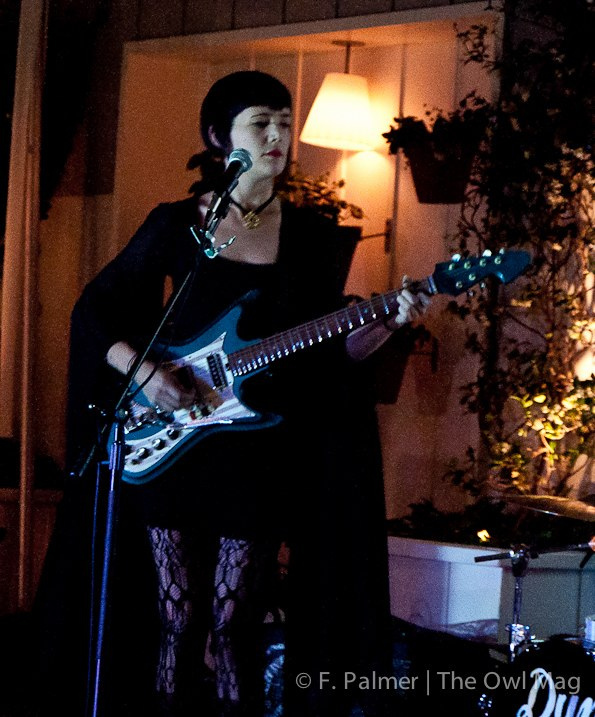 Off the infamous Sunset Boulevard in West Hollywood is a swanky little establishment called the Mondrian Hotel. Inside (or behind/on top of) the hotel is a unique bar called the Sky Bar. Providing spectacular views of Hollywood, Beverly Hills and Downtown, the Sky Bar is somewhere you might expect to see dueling DJ’s or trendy techno-pop wafting through the air. 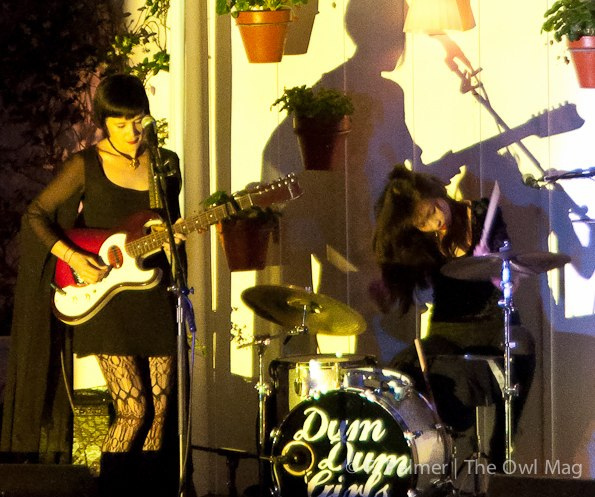 But tonight, on the otherside of the pool, the Sky Bar plays host to the indie-noise pop Dum Dum Girls. 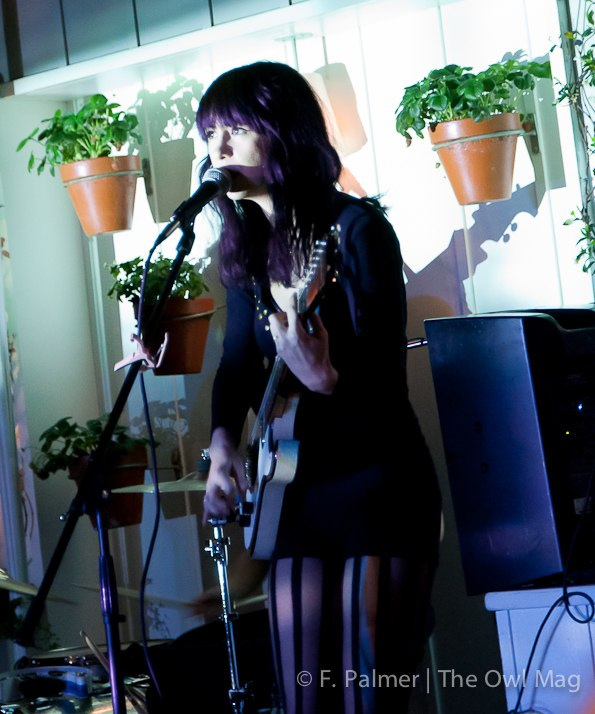 The Sky Bar was an unlikely scene for punkish, indie-noise pop, and that was evident when they first took the stage. While the tunes were spot on, it took a few tracks to get warmed up. 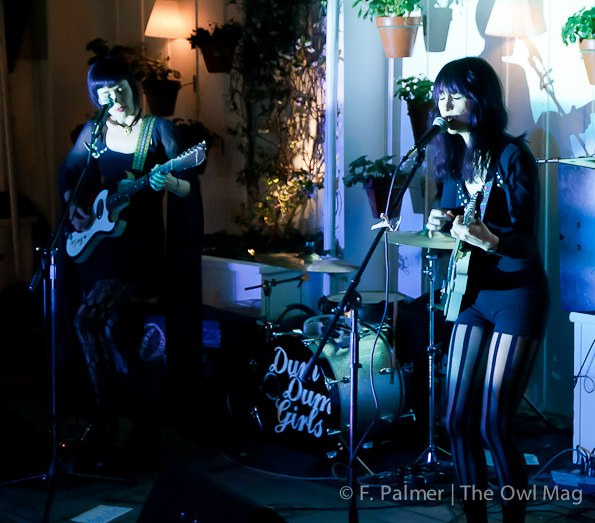 But when they did, the Dum Dum Girls really won me over. 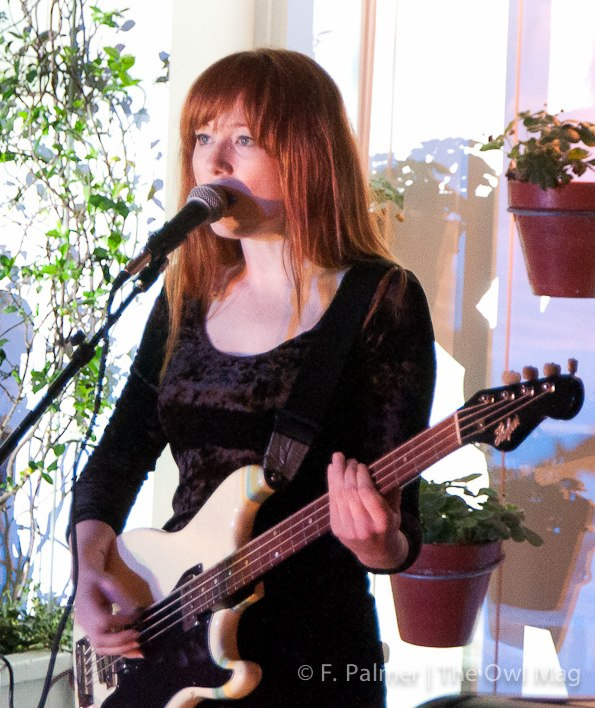 Their sound is gritty and unrefined, with punk and attitude to boot. The whole package is utterly fantastic, but a bit out of place in this swanky area of WeHo. I would love to give them another try, this time in a setting that might be more fitting. 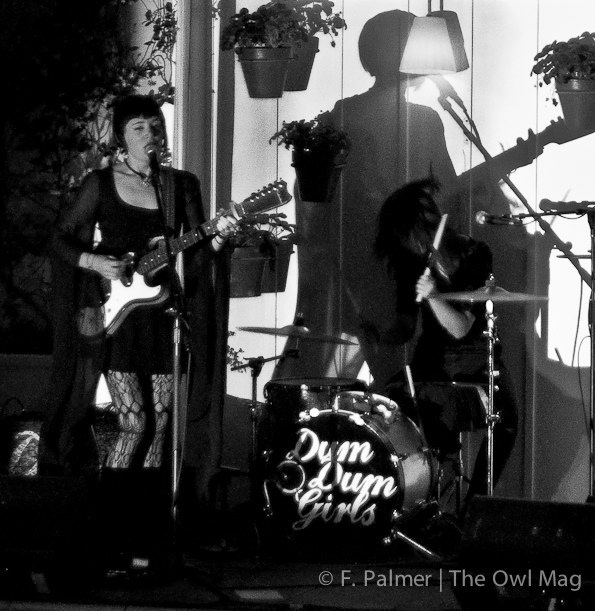 I think in their element, the Dum Dum Girls would really set-off.